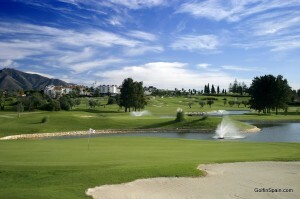 With its 6,536 meters, this course is the larger of the two in Mijas Golf. Keeping the original design of Robert Trent Jones Sr., the course has been totally refurbished in 2012. 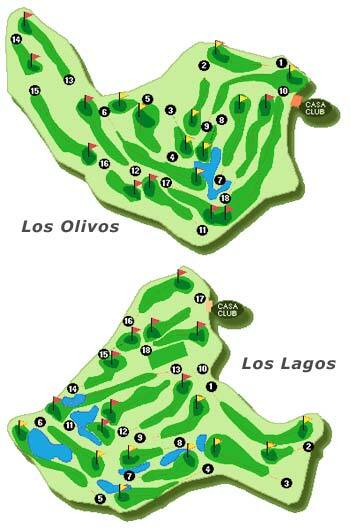 Los Lagos is a course with soft slopes, wide fairways and few forest trees obstacles, but defended by many bunkers and not less than nine lakes, from which the course gets its name, eager to trap each and anyone’s ball. Designed by Robert Trent Senior, the main feature which distinguishes this course from Los Lagos is the abundance of trees – hence the name – and its smaller size, as well as fewer water hazards.